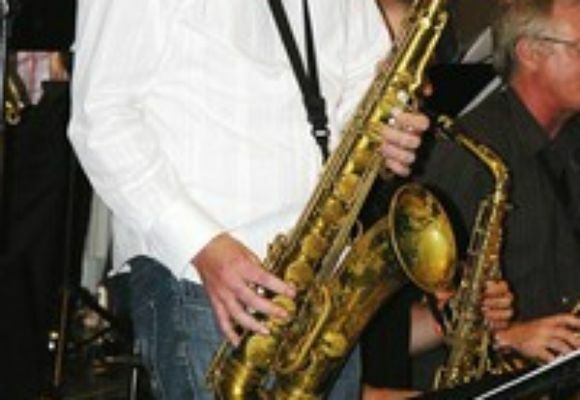 I'm a jazz saxophonist playing and teaching in Adelaide. Originally from Invercargill New Zealand I moved to Adelaide to study at the Elder Con with Andy Sugg and Dusty Cox. In 2002 I moved to New York to do a Masters in Jazz Performance at SUNY Purchase with Javon Jackson, Ralph Lalama, Jon Faddis, Todd Coolman and many more. I was very lucky to play with many of my hero's including Joe Lovano, James Moody, Jimmy Heath, Frank Wess. In 2005, before returning to Adelaide to take up a teaching postion at the Con, I made my debut recording "Serenity" with Renee Rosnes - piano, Todd Coolman - bass and Lewis Nash - drums. The session was put together and produced by Jon Faddis and is about to be released in Australia. Since returning to Australia I have started a big band that performs a regular 1st of the month gig at the Kings Head hotel and has performed with Bob Mintzer, Jim Pugh, Jon Gordon as well as featuring some of the great local musicians we have in this town. My trio SongBook regularly performs around town and I also work as coordinator for JazzSA - a non for profit organisation that promotes and presents jazz concerts in South Australia.....its been a busy year!!! !